When I picked out this skirt last month, I had imagined pairing it with patterns like stripes, or larger, more abstract prints. Wearing it with a similar dalmation print felt, for whatever reason, a little daunting at first and actually never even initially crossed my mind (I was cleaning my room and the two pieces happened to be lying next to each other on the floor). Grounded with neutral tones and coordinating blues, I like the slightly matchy-matchy vibe it provides while remaining relatively toned down. Have a great Monday! I love that top so much! I missed out on everything in that print from h&m, even though it was one of my favorites! So cute! 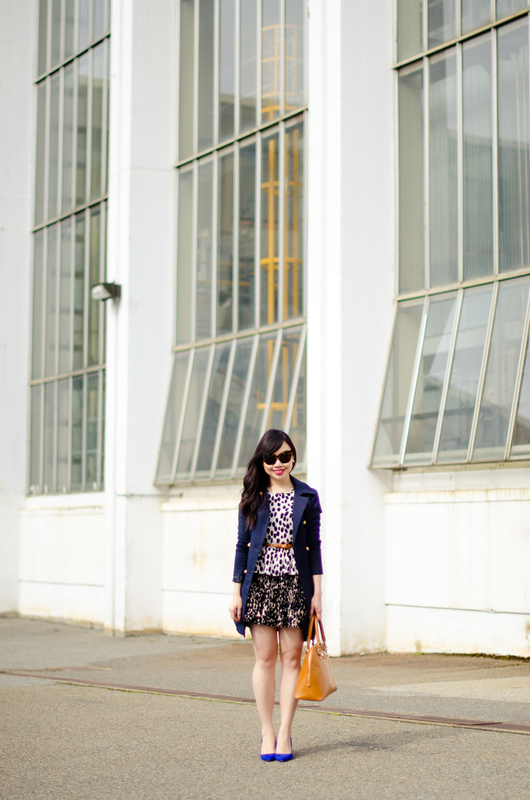 Loving it with the trench and cobalt pumps! Hope you had a lovely weekend, miss! Love love love this look! The print mixing is impeccable & that skirt is so adorable! Omg I love the top mixed with the skirt — almost looks like a dress! So funky and fun. I love this, Jen! Those prints look really good together. A print-mixing pro! Love this look! Love these photos Jen! Paul did a great job. Love this! So different and unusual..
you really amaze me with all your styles! love your blogs big time! 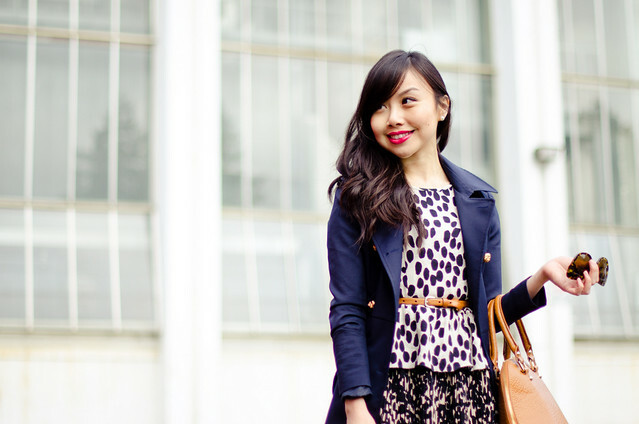 Love this print mixing! And those shoes are fab! love your trench, very stylish.